Each of these fields is separately regulated by EU Directives. A potential manufacturer will therefore have to decide which category will fit best to his intentions. Is the preparation food or drug? The differentiation is often rather difficult, as with herbal preparations the situation arises that a plant may have a dual use, both as a drug and a food item. E.g., turmeric (Curcuma longa) would usually be considered food when marketed in the typical form of a spice, but not necessarily when it comes in capsules. The decision whether a given preparation is food or drug is not self-evident, and the criteria for acceptability in either category are constantly shifting. The most important parameter in the past was not so much the actual presentation of a given plant or herbal preparation, but rather the health claim made for the preparation. Consequently we are facing the situation that exactly the same product with the same recommended posology and application form may be food supplement in some EU member states, and registered or even authorized drug in others. If food, is it “novel”? Herbal preparations are being marketed as food supplements in most EU member states. Whether a given preparation may be freely marketed depends on its composition. In the food sector it must be made clear that the plants in the preparation or the application form as such, respectively its method of preparation, are not “novel”, i.e., they must have been available on the EU markets prior to May 15, 1997. This date marks the inauguration of the Novel Food Directive (258/1997/EG), a directive originally created to protect EU consumers from genetically manipulated food. Genetic manipulation has meanwhile been regulated in a separate directive, but the Novel Food Directive stayed and is increasingly used as an argument to prevent plants from non-EU sources from being marketed within the EU. There are plenty of examples of Indian/Ayurvedic herbs such as Phyllantus emblica (Amla), or Terminalia chebula, just to mention two. Especially in the case of Phyllantus emblica the recurrent classification by certain national authorities as “Novel Food” is clearly wrong. When a plant/preparation is considered “novel” an application must be made to the EU, demonstrating the safety of the product with corresponding toxicological data. Not only is the process itself rather costly, but also time consuming, as it may take a practically indefinite number of years. In addition, there is no guarantee that a product will be accepted, even when the toxicological data is presented. For small and medium size enterprises this approach is in practice not viable for economic reasons. In the recent past some changes have been applied to the Novel Food Directive in order to streamline the process, but in fact nothing substantial seems to have come out of these changes. In addition one should be aware that even permission to market a “novel” preparation is obtained, this does not include an authorization of a health claim. If not novel, does it come with a health claim? If a preparation is not considered “novel” according to the simple yes/no-decision related to the deadline (which by itself is not logical: a product which came to the market on May 14th 1997 is perfectly acceptable, a product started on May 16th is not), or novel food status is granted, the most important question is the way how the product is to be marketed. As soon as there is a Health Claim or a Risk Reduction Claim, the corresponding EU Directive (1924/2006/EC) is applicable. Health Claims cannot be freely chosen, they must be authorized by the European Food Safety Authority (EFSA) through a rather complex application procedure. For a health claim application data on safety, efficacy and quality must be presented – data distinctly exceeding the requirements for traditional herbal medicinal product registration. E.g., for the latter no clinical data is required, whereas a Health Claim would only be acceptable based on sound clinical double-blind trials – performed in healthy subjects, where it is highly unlikely that a significant and clinically relevant effect may be observed. Consequently, >90 percent of all health claim applications for “botanicals” will most likely be turned down by the EFSA, which may well sweep the EU market clean of almost all herbal supplements. Herbal food could still be marketed under these conditions, provided they do not carry a health claim. Ayurvedic preparations would, however, almost always come with a health claim of some sort. In practically no case could the conditions for the acceptance of Ayurvedic health claims be met: either the association between claimed effect and scientific data would be too weak, or (in cases of well-researched herbs) the claim would be considered medicinal and thus not acceptable for a food item. If it is not food, could it be a drug? Ayurvedic preparations may in some cases be considered food in India, but the regulatory bodies in the EU would mostly rather decide for the classification as a drug. The EU has implemented the Traditional Herbal Medicinal Products Directive (2001/83/EC as amended) with the intention of simplifying drug registration for traditional herbal products. The time frame of at least 30 years of documented use, 15 of which within the EU, is in many cases not easy to demonstrate, and is also subject to interpretation by the different regulatory bodies. It is not clearly defined what kind of material may be presented to demonstrate tradition, and how a continuous use for 30 years should be demonstrated. Thus, the acceptability of a given preparation may come down to the personal attitude of the public servant towards the preparations to be registered. The THMP Directive only allows the additional use of vitamins and minerals when these additions may be regarded as having ancillary functions. Typical Ayurvedic components such as ghee butter or bee products do not fall under the scope of the Directive, and would have to be registered in other categories. There is currently a debate within the EU commission how this problem should be addressed. Traditional Herbal Medicinal Product Registration requires the submission of a full quality module, which is not debatable according to the EU Commission. However, the current rules of compilation of the quality module of drug registration (mainly the rules of stability testing with quantification of every single active constituent of a combination) will necessarily make the registration of multi-herb combinations an almost impossible task – economically and scientifically -, even if the product would otherwise be eligible as a THMP. Certain minerals might be declared as excipients, but then quality according to the standards defined by the European Pharmacopeia is expected. E.g., cowry might well be considered as a novel excipient as it is not defined in the European pharmacopoeia, and it does not necessarily meet the standards for Calcium carbonate Ph. Eur. It can, however, not simply be exchanged against Calcium carbonate Ph. Eur., as in this case there is no tradition for the use of such material. Registrations as THMPs can only be made for indications of self-medication which do not require medical intervention. Correspondingly, the claims are very “soft” and elusive, and in addition a disclaimer must be given that even this weak indication has never been proven true. The rules for acceptability of traditional preparations are interpreted rather narrowly. It is not sufficient that a given plant combination is used, but also the exact preparation must be similar. E.g., the proof of tradition for an extract prepared with 50 % ethanol would not be applicable to an extract manufactured with 60 % ethanol. Even though the THMP Directive states that safety is considered given through the 30 years of continuous use, additional toxicological data is in fact required. Thus, the preparation must be shown not to have genotoxic properties, and if the applicant cannot provide data that the product is safe in pregnant or lactating women (which is practically impossible) there will be disclaimers warning against the use in women of child-bearing age in general – not merely for pregnant women, as the authorities point out that a woman in the early phases of pregnancy may not even be aware of her condition. In the logic of the EU consumer protection she must therefore be protected against the potential dangers of plant products – tobacco excluded as this would not be considered a medication. If it is not a traditional herbal medicinal product, could it be well-established? 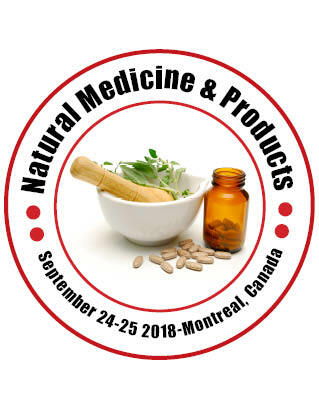 The most likely alternative to traditional herbal medicinal products is the registration as a “well-established” herbal medicinal product. This procedure requires, however, the demonstration of a substantial use in the claimed indication for at least 10 years, and bibliographic data demonstrating efficacy through clinical double-blind trials. There is no difference regarding the quality standards, but toxicological data must be provided, although bibliographic data may be acceptable. 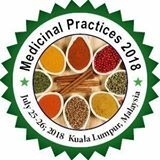 In reality few Ayurvedic products would be considered as potential candidates for the registration as well-established herbal medicinal products, as they would mostly not meet the criterion of being scientifically well-established – by Western standards. If it is not well-established, could a full registration be made? The regular procedure of full registration, even of bibliographic registrations combined with product-specific data does not appear feasible for the vast majority of herbal preparations. The major obstacle is the costs and the lack of proprietary protection. This procedure is mostly used by companies producing “special extracts”, which are by definition not comparable to other preparations or application forms on the market. Could it be a Medical Device? Medical Devices are regulated by EU Directive 93/42/EEC. They are usually products which do not act as a drug on pharmacological targets within the organism, but rather on body surfaces. E.g., laxatives which are not absorbed but act solely by binding water within the gastrointestinal tract can be considered a Medical Device (e.g. Ispaghula husk, Plantagopsyllium, could be a Medical Device, but senna leaves could not). The classification as a Medical Device would therefore in most cases not be an option of Ayurvedic preparations. Marketing of Ayurvedic products as food supplements will possibly come to an end with the full implementation of the Health Claim Directive and the THMPD. With the current practice of handling health claims on an extremely high level of clinical standards, successful applications of Ayurvedic preparations do not appear highly likely. The market segment of Traditional Herbal Medicinal Products appears to be the more straightforward way, and has the advantage of being politically supported in the process of harmonization of the EU markets. However, this procedure would currently exclude a relatively high number of preparations from the markets. The EU commissions Trade, Sanco and Enterprise must be informed on the consequences of the currently conflicting legislatory situation in the EU. Solutions must be sought to establish rules which deserve the name of “facilitated registration”, while at the same time keeping up a high level of product safety. Since the consequence of the current legislation is a de facto ban of many Indian products, the current situation might have to be analyzed in the light of WTO regulations. A viable start could be an active participation in the development of EU pharmacopoeial standards for Ayurvedic plants and excipients. The quality definitions of the Ayurvedic Pharmacopoeia of India (API) for defined herbal drug substances and/or excipients could be updated to Ph. Eur. standards, thus paving the way for a commitment of the EU to accept Indian pharmacopoeial standards as equivalent to Ph. Eur. standards. On the political level the EUAA is struggling for better conditions of traditional herbal medicinal product registration at affordable costs. The EUAA is also developing and presenting alternative strategies to challenge the currently conflicting and – to our opinion –disproportionate obstacles for ancient non-EU-traditions such as Ayurveda to enter the European markets. These goals can, however, only be reached with the support of the stake-holders and – most importantly – the consumers who want the free access to natural therapies such as Ayurveda.